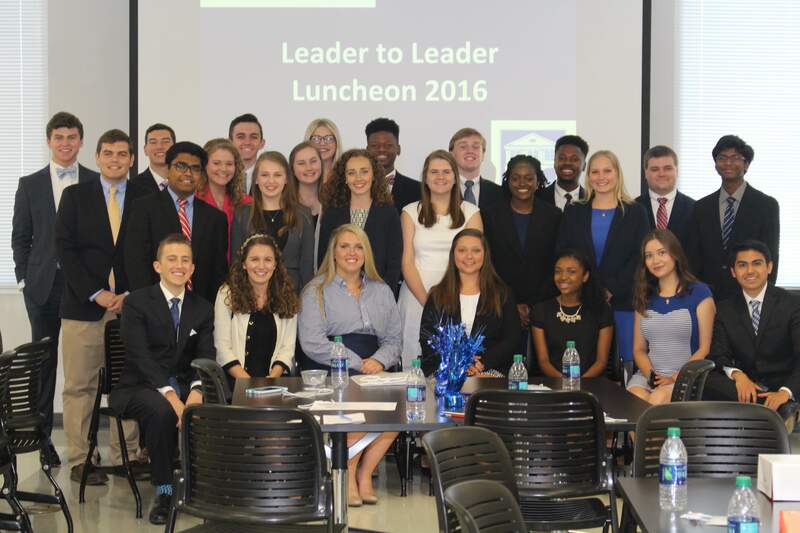 Trent Lott Leadership Institute | Motivate. Captivate. Inspire. Engage. 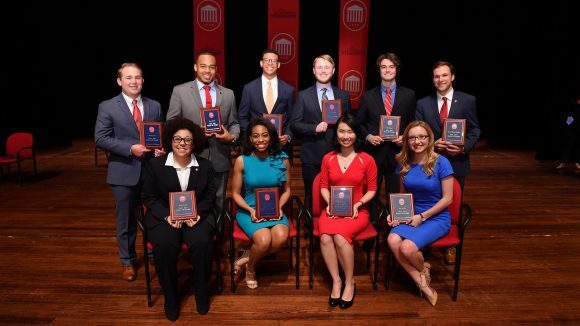 Ten University of Mississippi seniors have been inducted into the university’s 2016-17 Hall of Fame, one of the highest honors afforded students at UM. The inductees were honored Friday (April 7) in a ceremony at the Gertrude C. Ford Center for the Performing Arts. A committee in accordance with policy developed by the Associated Student Body chooses Hall of Fame members. Selections are based on academic achievement, community involvement, and potential success. This year’s Hall of Fame members are John Brahan of Hattiesburg; Austin Dean of Hammond, Illinois; Leah Gibson of Starkville; James-Roland Markos of Jackson, Tennessee; Jane Martin of Madison; Chase Moore of Horn Lake; Austin Powell of Corinth; Miller Richmond of Madison; Acacia Santos of Southaven; and Yujing Zhang of Oxford. Brahan, pursuing a double major in public policy leadership and theatre arts, is a member of the Sally McDonnell Barksdale Honors College and a Trent Lott Institute Scholar. He served in several roles over the course of his education, including ASB vice president; director of Greek affairs for RebelTHON, the Miracle Network dance marathon benefitting the Blair E. Batson Children’s Hospital; and vice president of standards for the Interfraternity Council. Brahan served the community as a Leap Frog tutor and mentor. He’s performed in theatrical productions of “Clybourne Park” and “A Midsummer Night’s Dream” and plans to pursue a career in the entertainment industry upon graduation. His parents are Tammy Kolbo and John Brahan of Hattiesburg. Markos is completing a triple major in public policy leadership, biological sciences and biochemistry. He is a student director of the Sally McDonnell Barksdale Honors College and a Trent Lott Institute Scholar. Markos is president of Sigma Nu fraternity and served as president of the UM Interfraternity Council in 2015. He is the editor-in-chief and co-founder of the UM Undergraduate Research Journal, a yearly, peer-reviewed publication of research articles written by UM undergraduate students. Markos was awarded a Taylor Medal, an award given to fewer than 1 percent of students each year for outstanding scholarship in their field. Upon graduation, Markos will attend the Mayo Clinic School of Medicine in Rochester, Minnesota, to pursue M.D. and Master of Public Health degrees to prepare for a career as a clinical physician. His parents are George and Clare Markos of Jackson, Tennessee. Powell, completing a double major in public policy leadership and philosophy, He served as ASB president during the 2016-17 academic year. 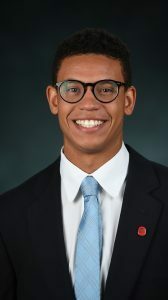 He is a member of the Sally McDonnell Barksdale Honors College and a Trent Lott Institute Scholar, and he was a Rhodes Scholar finalist last spring. Powell also served as assistant director for The Big Event and is a member of the Columns Society. He has been accepted to graduate school at the University of Oxford in England and will pursue a master’s degree in criminology. His parents are Eric and Gwen Powell of Corinth. 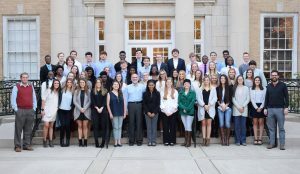 To be considered for admission to the Public Policy Leadership degree program, students must first apply to the Lott Leadership Institute by completing the University of Mississippi online application. Once the application has been completed, access to the “Special Programs and Scholarships Application” will become available. Complete this application to be considered for admittance to the Lott Leadership Institute as well as available scholarships. 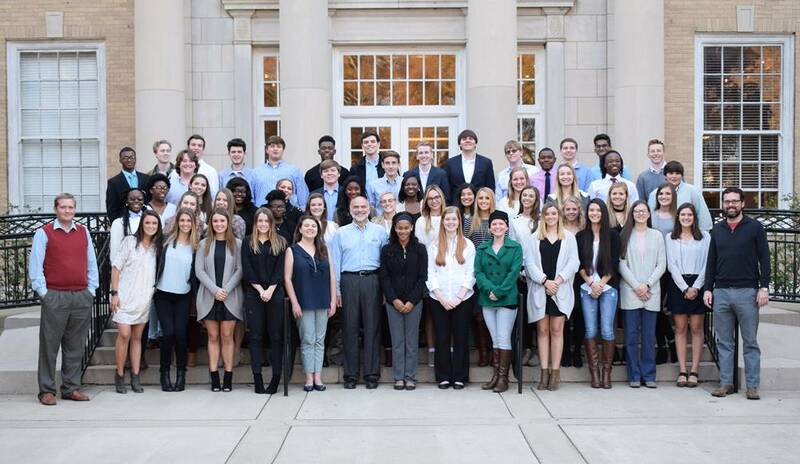 All applicants accepted into the Lott Leadership Institute (pursuing a BA degree in Public Policy Leadership) and possessing exceptional leadership and academic records are under scholarship consideration. The deadline for application to the program is January 5, 2018. Posted with thanks to the University of Mississippi Communications Office and Edwin Smith. 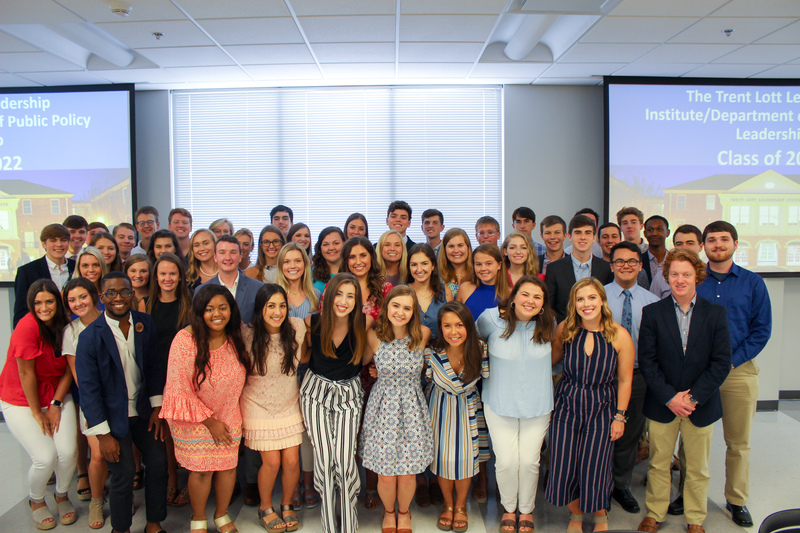 Senator Trent Lott spoke to PPL classes during his annual visit to the University of Mississippi’s Trent Lott Leadership Institute. 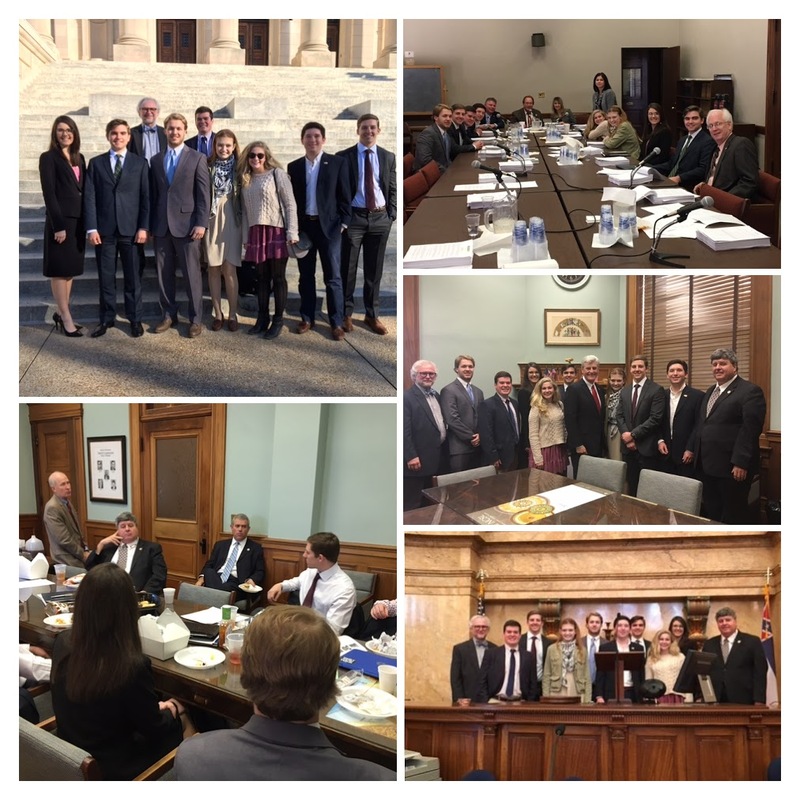 – Students took advantage of this unique opportunity to network with Senator Lott, faculty and staff, Lott Institute Board Members, our Executive Director, and fellow friends to the Program! 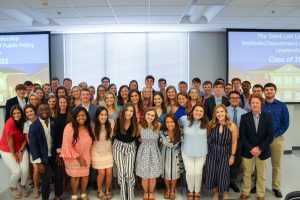 The Trent Lott Leadership Institute is pleased to boast historic enrollment in this year’s freshman class. Among these leaders, we take care to celebrate the commitment to excellence embodied by recipients of the Patricia Lott Public Policy Leadership Scholarship. 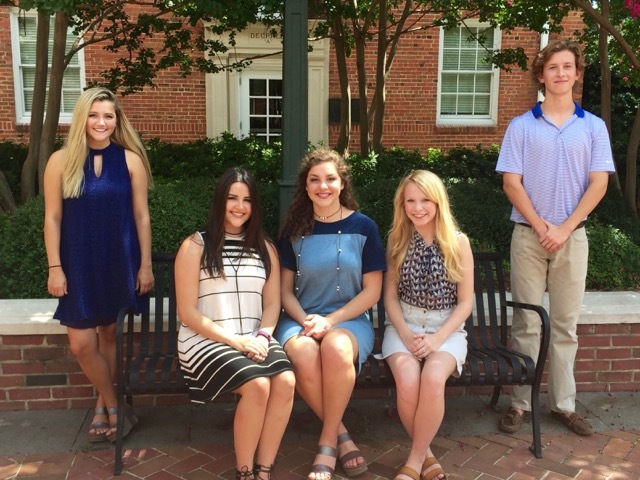 Pictured above, from left to right, are Christina Scheuermann of Huntsville, AL; Abbie Brashier of Biloxi, MS; Lucy Pruitt of Hattiesburg, MS; Savannah Day of Fayetteville, AR; and Benjamin Payne of Ridgeland, MS.
Lott Summer College Session One 2016 students enjoyed discussing the future of healthcare policy and management trends with Baptist Memorial Healthcare Monday, 20 June 2016 during the annual Leader to Leader Luncheon.